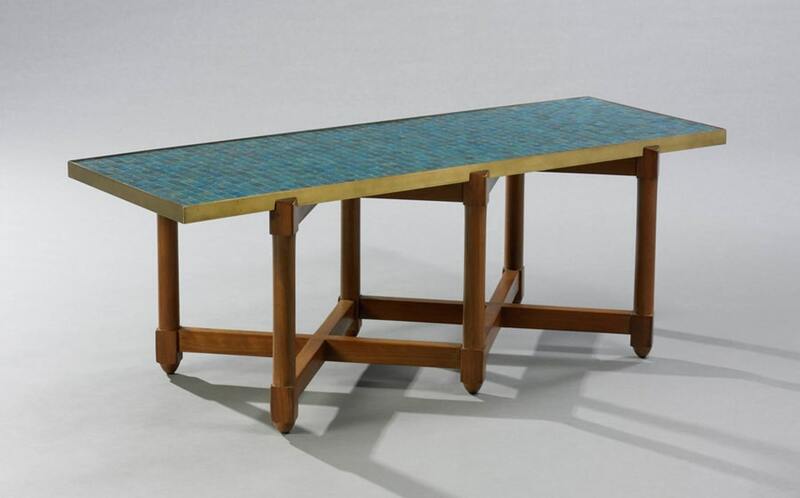 Born outside of Chicago, Illinois, Edward J. Wormley (1907-1995) was an American furniture and interior designer. He is best known for his long-lasting relationship with the Indiana-based Dunbar furniture company. 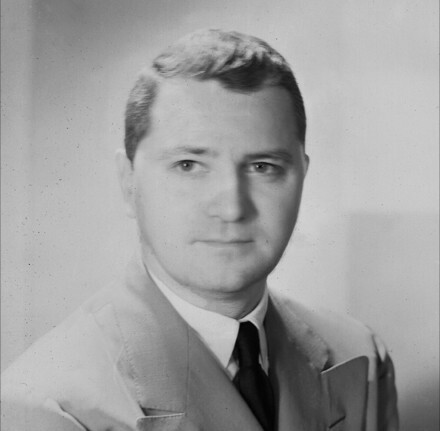 After World War II, Wormley set up a private practice in interior and furniture design with Dunbar as his primary client. He used wood and upholstery in a tailored way that appealed to an audience not ready for the austerity of International Style design. 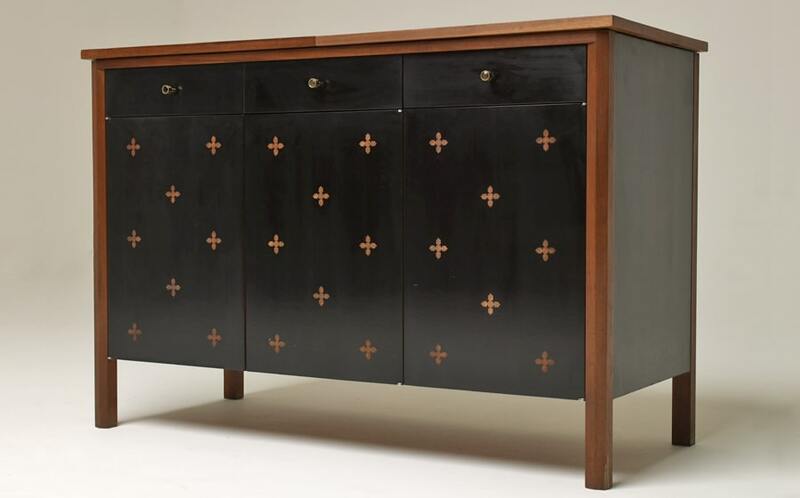 Wormley’s Dunbar furniture was included in a number of “Good Design” exhibitions at the Museum of Modern Art in New York. He served as president of the American Designers Institute in 1941. Contact us to sell your Wormley furniture. Born outside of Chicago, Illinois, Edward J Wormley always aspired to be a decorator. In high school he took a correspondence course from the New York School of Interior Design and after graduation attended the esteemed Art Institute of Chicago for three terms before training as an interior designer at Marshall Field & Company. After three years Wormley was designing eighteenth-century English reproductions for Marshall Field, which provided him with a valuable apprenticeship studying antiques at various museums. The Depression curtailed Wormley’s job in 1931, so he traveled to Europe where he arranged to meet both the architect Le Corbusier and Emile-Jacques Ruhlmann, a sure sign of his broadening tastes in design. 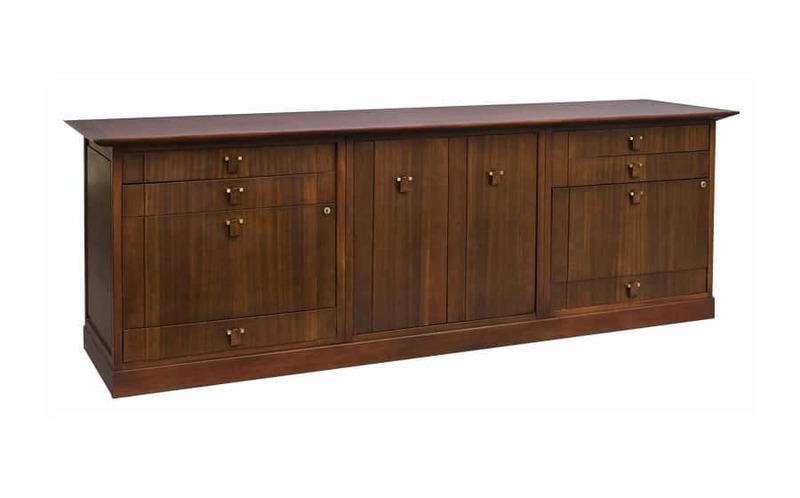 Upon his return Wormley was hired to be the marquee designer at Dunbar Furniture Company, a leading producer of furniture in America from the 1940s through the ’60s, where he remained until his retirement in 1968. Dunbar was known for fine hand-rubbed finishes and quality materials, and its non-automated production. Without up-to-date mechanization they were able to customize each piece of furniture per the client’s request, but still managed to release two lines a year with an average of one hundred pieces per annum for thirty-seven years. Through his long-term association with Dunbar, Wormley demonstrated a sophisticated understanding of handicraft that inspired other American manufacturers to aim for a higher level of production. Wormley also succeeded as an interior designer, opening his design studio in New York City in 1945. Independently, he also produced lighting for Lightolier, cabinets for RCA, globe stands for Rand McNally, and carpet for Alex Smith & Sons. In 1948 Schiffer Prints selected him to create textiles as one of the six renowned designers in the Stimulus Collection that also included Salvador Dali, Ray Eames, and George Nelson. 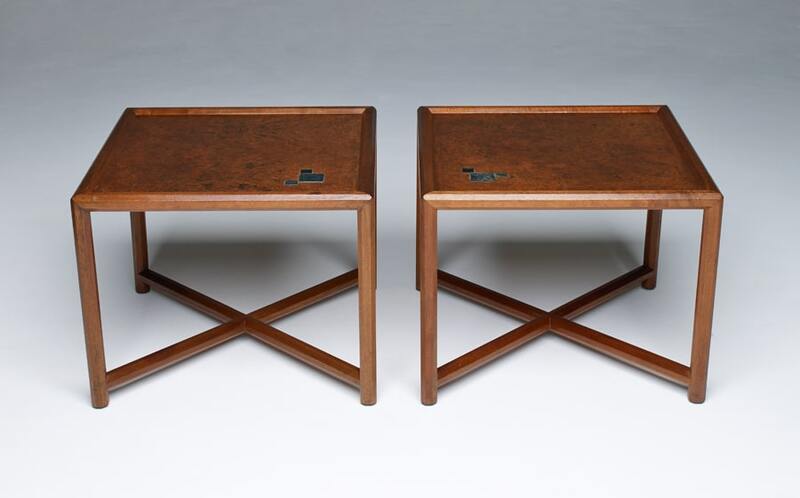 Wormley’s pieces were featured in the Museum of Modern Art’s Good Design exhibitions from 1950 to 1952. He taught at Parsons School of Design starting in 1955, lectured at the Architectural League, and was a world traveler. In 1962 he was awarded the distinguished Elsie de Wolf award, named after the “mother of interior decorating.” His Riemerschmid chair is currently in the permanent collection in the Museum of Modern Art’s Architecture and Design department.